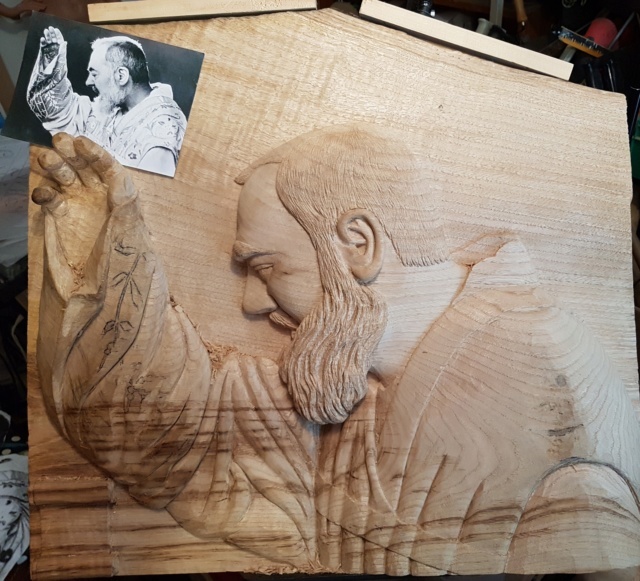 I am impressed by how the actual woodgrain enhances the face, neck and shoulder of Padre Pio. Was that amazing luck, or did you plan it that way? Note: See photo in #116. 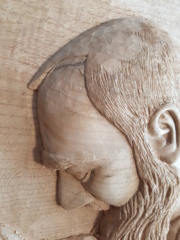 JJF - This carving has reached a stage when you may be thinking about the final finish - will it be natural, stained, or colored? How will you bring out the decorative pattern in the vestments? 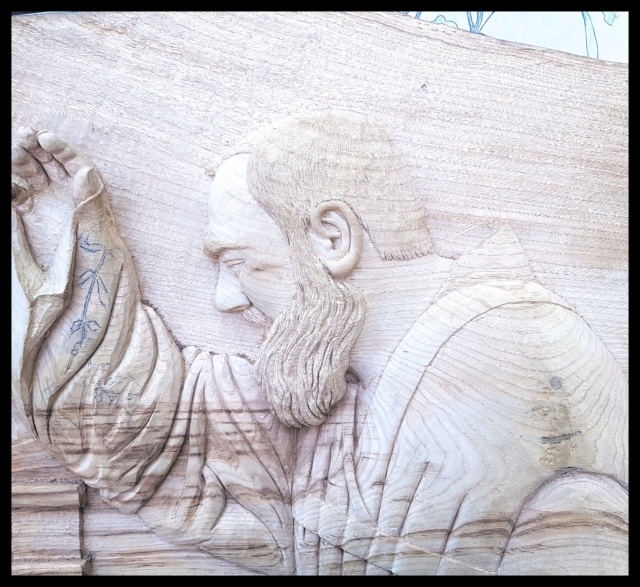 You might consider incising the decoration (embroidery? ), then sealing the areas and wiping gel stain into the incisions. How will you diminish or enhance the dark streaks at the lower left area? 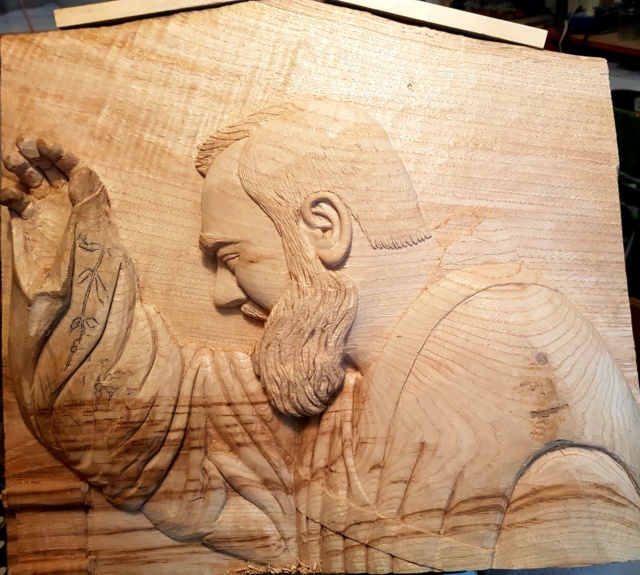 Will it be hung on a wall, or backed up by another panel of wood or fabric? Forgive me if I'm getting too involved in your project. 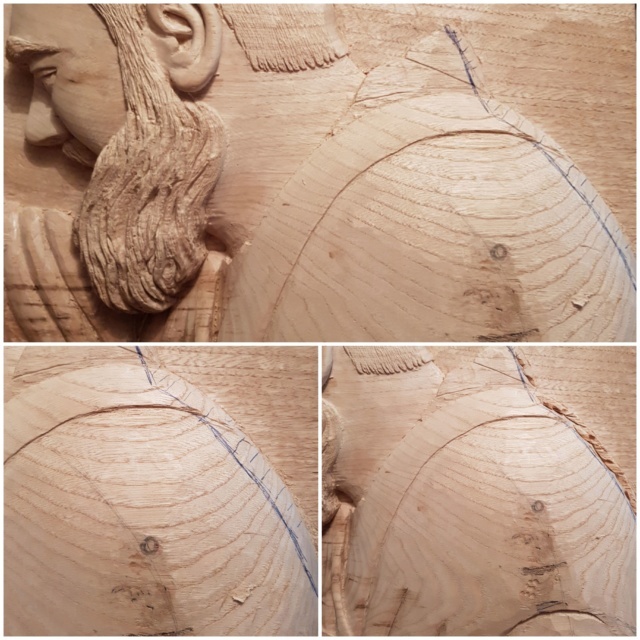 This is just the way I think when I study a woodcarving in progress. thank you for the contrary to get involved. 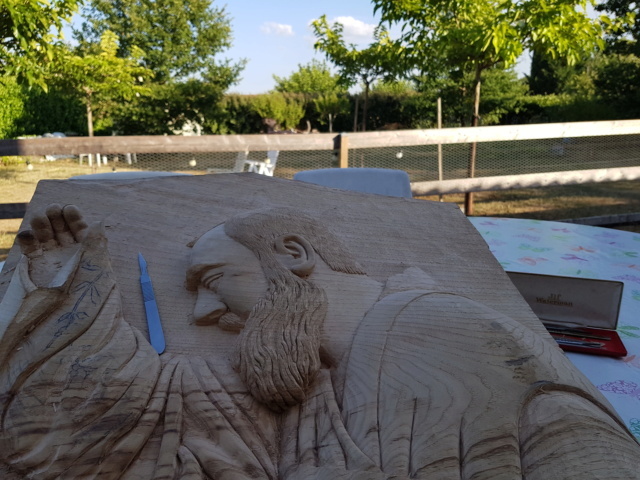 I ask myself a lot of questions for the finish. I still have a lot of details. 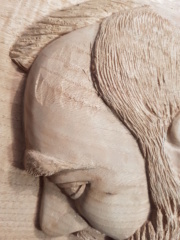 I think to do the details in relief. For color I do not know yet.